Drew Fry a rising senior studying mechanical engineering. This year, Drew will be taking on the responsibilities of the role of president of Engineers with a Mission, a student organization that allows him to combine two of his greatest passions, Christian compassion that motivates action and utilizing his God-given talents in math and science. For more information on Engineers with a Mission, visit the group's facebook page or website. 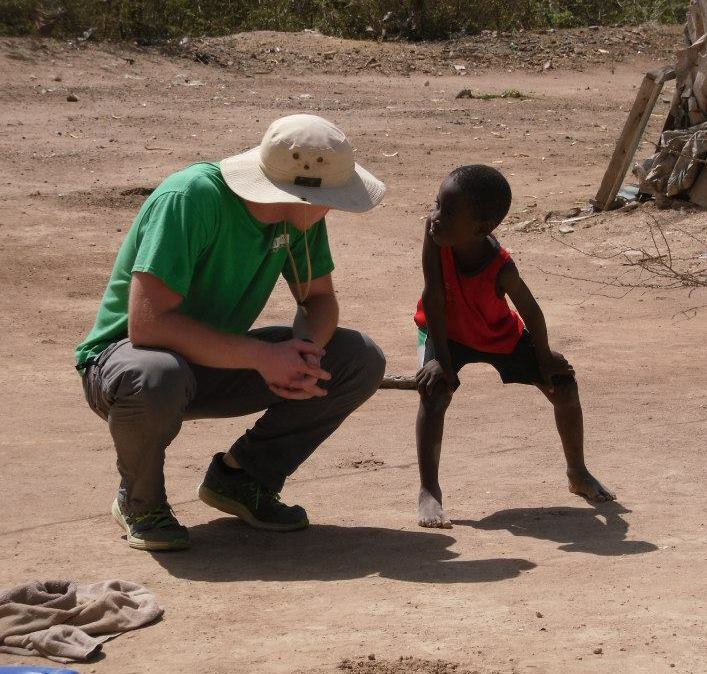 I was recently fortunate enough to have the opportunity to travel to Ferrier, Haiti for about two weeks with 12 other engineering students and three engineering professors on a service-learning trip, which was organized by a Baylor ECS student organization called Engineers with a Mission. While there, we worked with Mission Waco, Mission World (MWMW) to establish an interconnected system of five different microbusinesses to provide solar-powered phone charging stations in five smaller, spread out communities around Ferrier. Because of our time there and the work we performed alongside the Haitian people, five different families have an additional source of income, and five new communities have a valuable service much more readily available, the hope of which is to spark economic growth in those areas and gradually move toward ending the vicious cycle of extreme poverty in those areas. Each Haitian businessperson pays a weekly fee that goes toward purchasing replacement equipment and attends regular meetings with all of the other operators. This exchange gives each of the operators more buy-in with the program, as well as a chance to bounce new operating ideas off of each other. There is a great deal of freedom to operate the business as they see fit, so long as the necessary money reaches MWMW’s representative in Ferrier at the appropriate time. To provide a power source for these charging stations, we installed a single 250 Watt solar panel with the accompanying inverter, charge controller, and battery that would allow the Haitian operators to store and utilize the power. We worked extensively with the people of Ferrier to identify the communities without phone charging capabilities that would benefit the most from this microbusiness, as well as responsible people to operate the systems. Here we relied on the relationships that MWMW has developed in Ferrier over the last 30 years, as well as the expertise of the local pastors and community leaders. During the installation process, we labored alongside Haitian workers to securely mount the solar panels within a welded metal frame and anchored into concrete to prevent theft or other damage. Completing the project relied on engineering students from multiple disciplines performing varied activities, from optimizing panel placement at a given site and designing new ways to secure the frames to dealing with the various electrical issues of the system. It was such a powerful image of the body of Christ to see an installation in progress: different groups of Baylor students and Haitian workers interacting and working together to bring about a project that none of us could have accomplished on our own within the given time frame, if at all. We learned a great deal over the course of two weeks about the engineering design process and the difficulties that arise when implementing that design. While traveling costs for students come out of pocket or through personal fundraising, the materials for the project itself come exclusively from donors who generously give to Engineers with a Mission or BU Missions. Engineers with a Mission (EM) is an expressly Christian engineering student organization at Baylor that helps bring together faith and learning in a very real way that makes our university unique. It is largely because of EM and its clear union of two of my deepest passions-Christian compassion that motivates action and utilizing my God-given talents in math and science-that I decided Baylor was the university I wanted to attend. As a prospective student uncertain of the role Christianity could play in engineering, it was refreshing to find a school that emphasized more than the median income of its graduates and talked about the impact that its students were having all across the world, including right here in Waco. 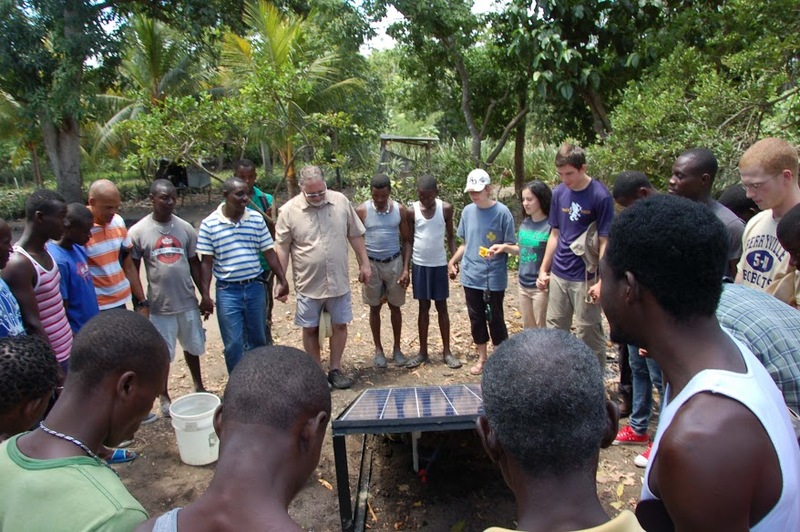 I got involved with EM because it helps to facilitate opportunities for students to use their fledgling abilities in technical fields to serve the Kingdom of God, whether that is installing solar panels in a small community in Haiti or tutoring young, underprivileged students in math and science in Waco, Texas. The body of Christ is big, and EM helps students like me find out where engineers fit into that body. For more information on Engineers with a Mission, visit the group's facebook page or website. To make an online gift to help support group's like Engineers with a Mission and students like Drew, please visit www.baylor.edu/giving/ecs.